I don’t write about it often on Trader Edge, but most of my work the past year has been on option strategies. As a rule, I do not trade strategies unless they demonstrate a significant advantage in back and forward testing. In addition, there must be some rationale or premise that explains why the market inefficiency exists and why it will persist in the future. Unfortunately, backtesting option strategies have always been an extremely challenging and time consuming process, but I had several breakthroughs in 2013. 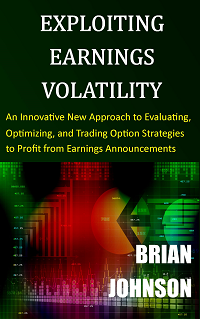 Early in 2013, I finally figured out a way to systematically test and optimize parameters for option strategies. Historical option data is notoriously inaccurate and is not readily available. As a result, I wrote the code in AMIBroker to simulate historical option pricing for option strategies. I needed accurate theoretical pricing, so I had to incorporate the vertical and horizontal volatility skews when pricing the strategies. It took me months of programming, but I finally got it to work properly. 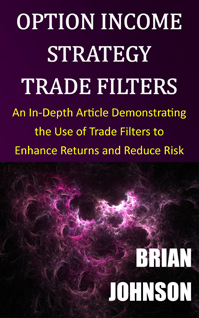 This research led to the development of three directional credit spread strategies and a non-directional broken-wing butterfly strategy, which I am now trading. Later in 2013, I created a similar set of macros in Excel that allowed me to perform exhaustive tests of historical credit-spread payoffs for a wide range of expiration dates and out-of-the-money strike prices. This gave me a much better understanding of the actual price distributions and how they relate to the market-implied log-normal return distributions assumed by most option models, including the Black-Scholes Option Pricing Model (BSOPM). I compared the probabilities of touching the short strike in each credit spread to the theoretical Monte Carlo probabilities. This highlighted the range of option expiration dates and strike prices that have been historically mispriced by the market. I integrated this information with custom filters to develop a (bullish and bearish) pair of directional credit spread strategies and a market neutral condor strategy. I am now trading these three strategies as well. Finally, I came up with a new metric that can be used to analyze, evaluate, and compare any market-neutral option income strategy (butterflies, condors, calendars, or hybrid) in any market environment. I am very excited about this new tool and I am working on an E-book that fully explains how to implement this approach. 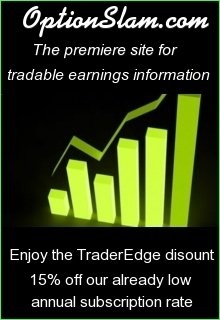 Unfortunately, the demands of research, trading, and regular posts on Trader Edge leaves very little time for writing the book, but I am working on it. I am also using the new metric in conjunction with optimization software to optimize, market-neutral, option income strategies. 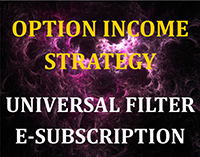 The optimizer uses an objective function and constraints to build the “best” market-neutral income strategy, choosing from options with a wide range of strike prices and expiration dates. 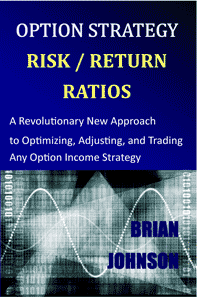 I am using the same optimization software (What’s Best) that I used when I was a fixed-income portfolio manager at Lincoln Capital. The optimization problem is obviously very different, but the software is very versatile (and very expensive). What’s Best can solve linear, non-linear, and integer problems. The extended version can handle very large problems and an add-on module is available that can efficiently find global non-linear solutions. This research is ongoing, but the optimizer works and the optimization process has already identified some very interesting hybrid strategies. 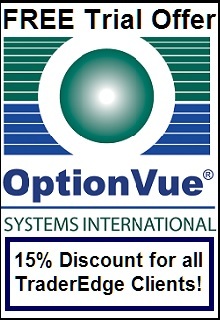 2013 was a very productive year for option research and I wanted to share some of the latest strategy developments with all of you. This entry was posted in Options, Strategy Development and tagged delta-neutral, market-neutral, objective function, optimization, option, option income strategy, option research, option strategy, Trader Edge research. Bookmark the permalink.